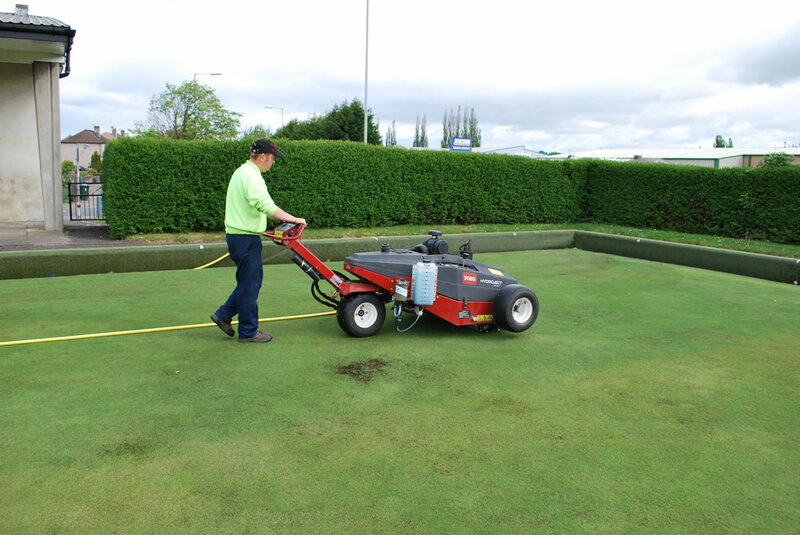 The hydroject is used as a supplement to routine hollow tine aeration. The hydroject is particularly useful on greens of heavy soil, under heavy play, and in hot weather. 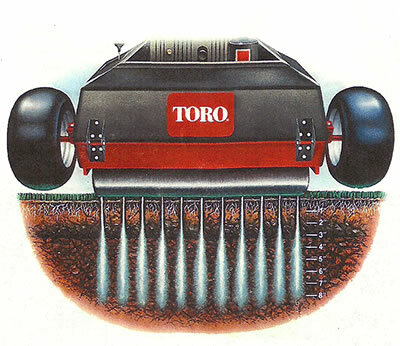 It works in a similar way to tining but uses high pressure jet injected water to penetrate into the compacted surface. The innovative Hydroject water injection aerator is an effective and efficient tool for aerating turf up to 8" deep without disturbing the surface. 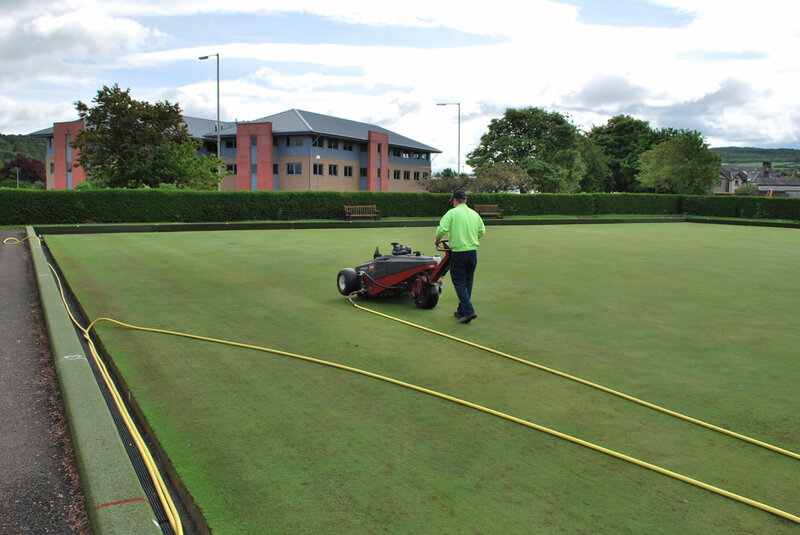 We use it to reduce compaction on golf greens or bowling greens or high traffic areas. It breaks through soil layers improving infiltration and root growth or we use it to treat isolated dry spots with aeration and the injection of wetting agents. And, because it does not disturb the surface, the Hydroject can be used throughout the playing season.